Why Choose Machado for Commercial Concrete Supply? The highly-skilled concrete professionals of Machado Concrete Ready-Mix have the knowledge and experience for every type of project, regardless of size. We have a proven track record of reliability, safety, respect, and quality. We will work with you to help get your project completed on time and on budget. 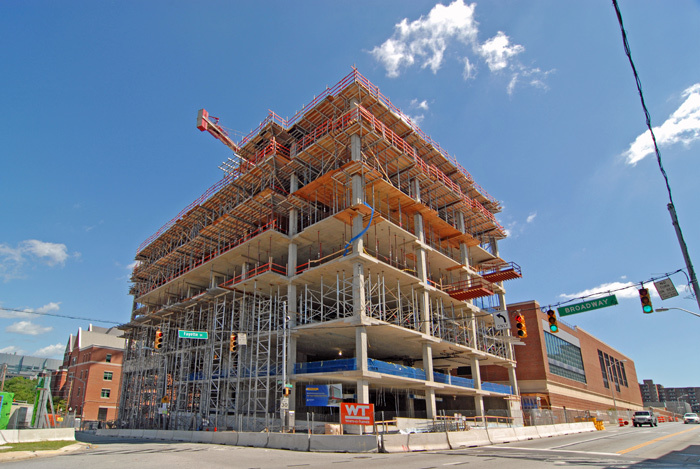 Machado Concrete Ready-Mix was awarded the opportunity to work with one of Baltimore’s best concrete contractors on the John Hopkins Hospital, Skip Viragh Outpatient Building. 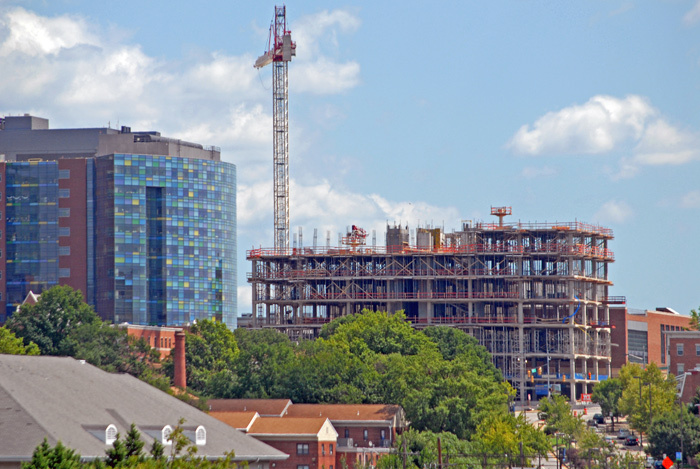 The 10 story, 184,000 s.f. 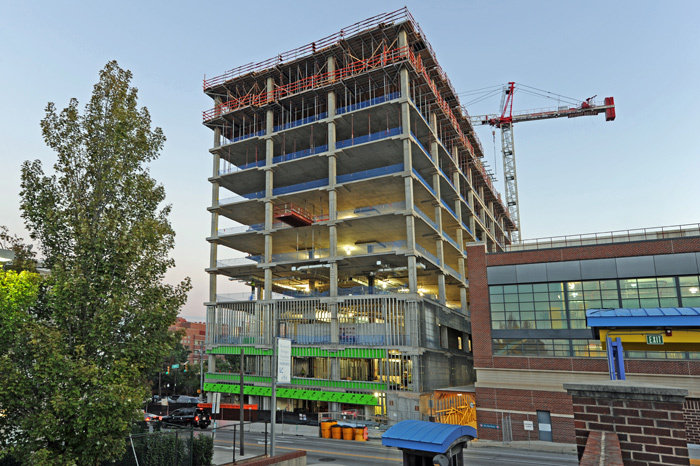 structure consisted of over 10,000 cubic yards and single pours up to 700 cubic yards of high strength concrete at a rate of 100 cubic yards per hour. We supply ready mix concrete by the cubic yard, the equivalent of 27 cubic feet. Each cubic yard is enough to fill an area 3 feet wide by 3 feet long by 3 feet deep. 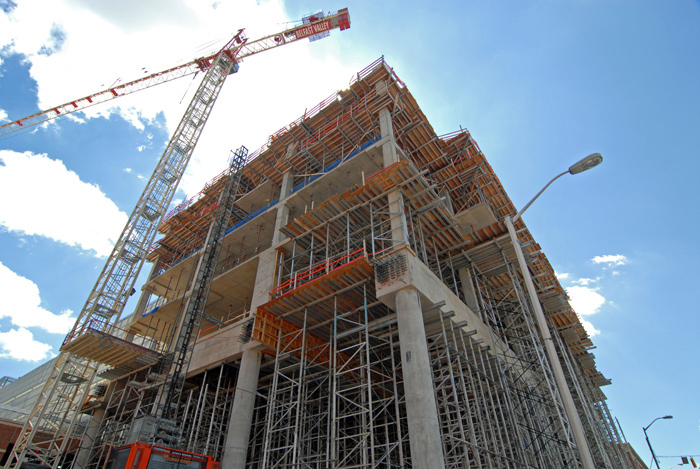 Keep in mind, there are many variables that can affect the actual amount of concrete needed, such as the evenness of the surface, pipes and other objects that may take up space, and the amount of waste or spillage during the pour. It’s always advisable to order slightly more concrete than is needed, to compensate for spillage. Should you require more concrete than you order, you may end up paying significantly more for a second delivery of a smaller load to make up the difference.